Platinum-selling, GRAMMY®-nominated Point of Grace return April 3with a landmark new collection, Beautiful Name. 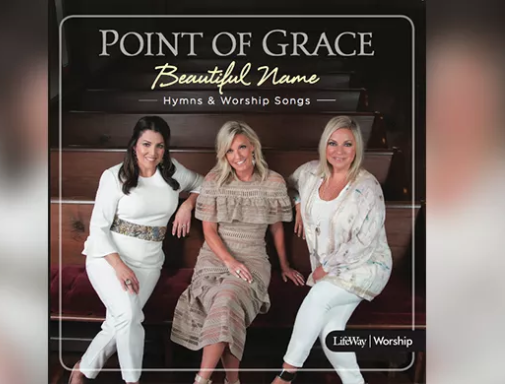 The iconic trio’s second LifeWay Worship set and first full-length recording of hymns and worship songs, the project showcases Point of Grace’s signature harmonies atop 10 fresh arrangements of beloved favorites, old and new. ‘Beautiful Name’ will be available exclusively at LifeWay Christian Stores around the country, as well as on LifeWay.com and iTunes.